Cabins 4(+2 crew), Bathrooms 4(+1crew), Double beds 2 (1 King size + 1 Double), Single beds 4 (+4 crew), Capacity 8 (10). The yacht is a 90 feet luxury charter motor yacht in GREECE. Is based in Greece-Alimos Marina and is delivered all over Greek coast upon request. 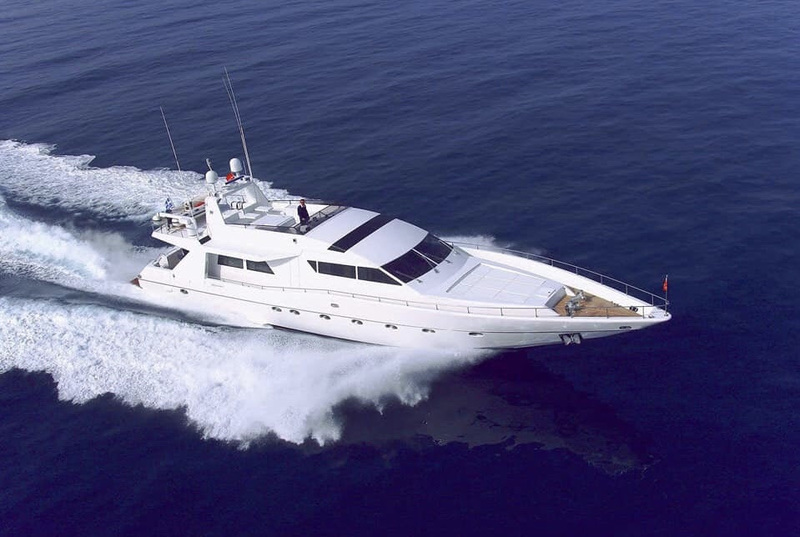 Is offered for crewed private charters in Greek islands and east Mediterranean. 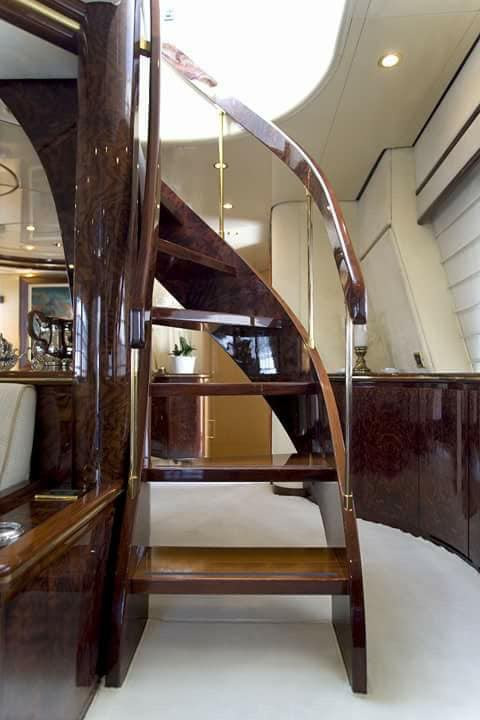 An exceptional charter yacht. Is built with top quality materials and is decorated with stylish designers’ accessories, bed linen and tableware. Very spacious and luminous salon in soft beige tones, proving all comforts, TV, Sound system, Bar and Dinning area. 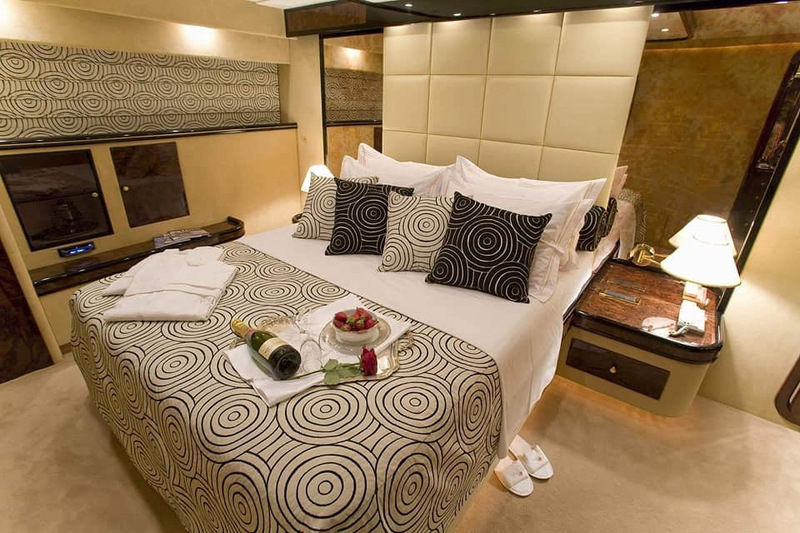 Four luminous cabins with private facilities offering accommodation up to 8 guests. 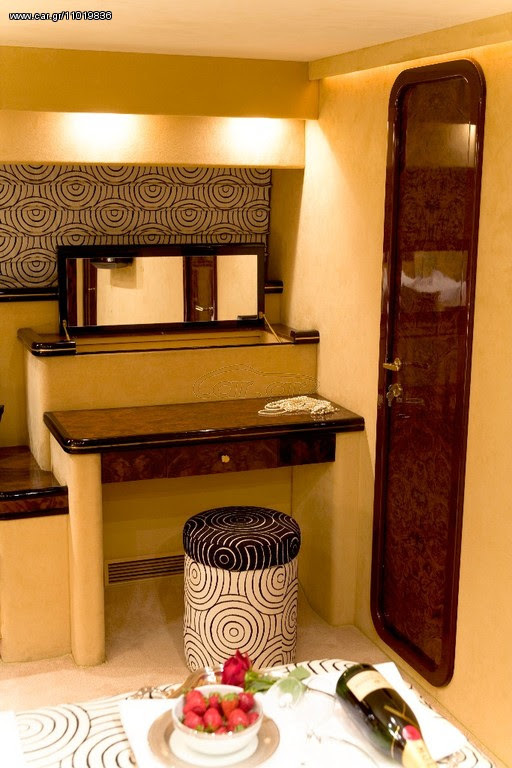 The master suite is the full width of the yacht, extreme luxurious with a king sized bed, bathroom with Jacuzzi, DVD, Plasma TV, office with internet and fax, mini bar and dress-room. 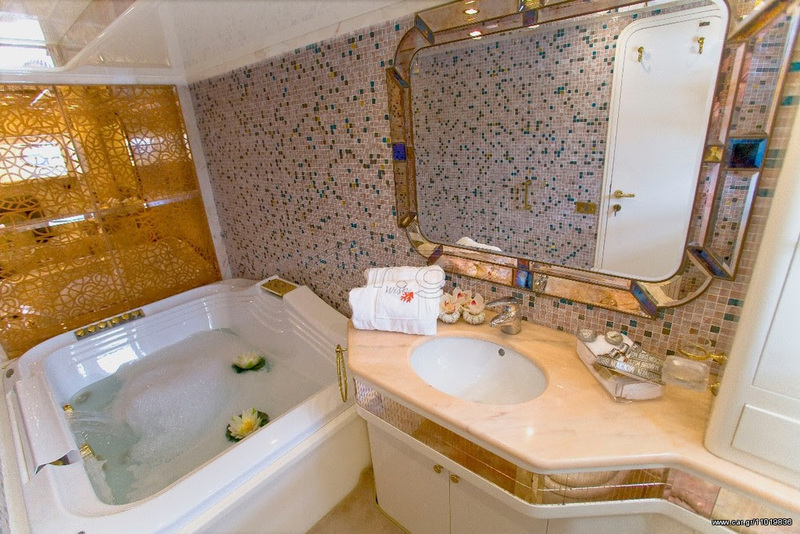 The VIP room has a double bed with a private luxury bath. The first guest room has two comfy beds and a private bath, just like the second guest room. All have independent sound system and TV. 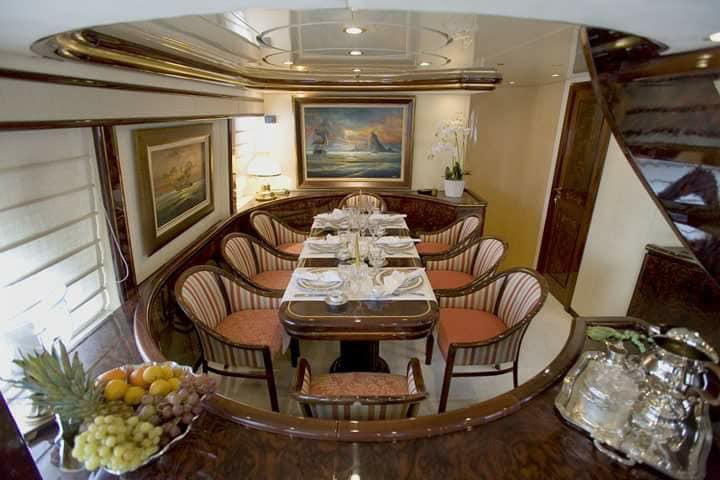 “WISH” has a highly professional and discrete permanent crew of 5 (experienced Captain – Chef – Engineer – 2 Stewards), ready to cater all guest needs and to offer the master level of service. Come on-board and enjoy unique and unforgettable holidays.